With a victory at the Wyoming caucuses Saturday afternoon, Sen. Bernie Sanders (I-Vt.) extended his winning streak to eight of the last nine Democratic presidential contests. Sanders won 55.7 percent of the vote, while former secretary of state Hillary Clinton took 44.3 percent. 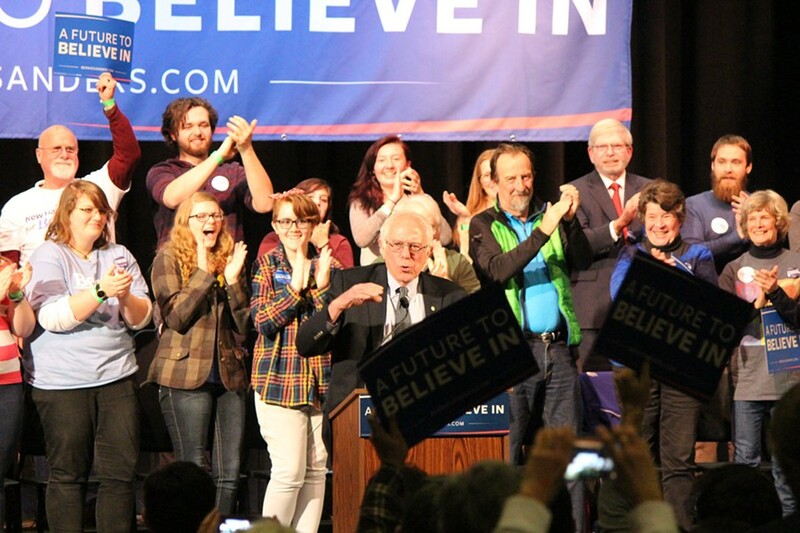 According to press reports, the Vermont independent was campaigning at New York’s LaGuardia Community College in Queens when his wife, Jane Sanders, interrupted a speech to share the news. Only 14 delegates were at stake in the country’s least populous state. Though Sanders won by more than 11 percent of the vote, it appeared that he and Clinton would split Wyoming’s delegates — seven apiece. That prompted Clinton campaign manager Robby Mook to declare a victory of sorts. Earlier Saturday, the Sanders campaign released its own internal count of pledged delegates and superdelegates, arguing that media reports had underestimated his haul. The campaign said he was on track to pick up more delegates in Washington, Arizona and Nevada than generally recognized, in part by over-performing at county-level caucuses. According to the Sanders campaign, he was trailing Clinton 1,088 pledged delegates to her 1,302 before Wyoming’s caucus. The latest count from the Associated Press, which included Wyoming’s results, pegged the count at 1,037 to 1,287. The campaign also released a list of superdelegate supporters totaling 38, including one new one: Wisconsin Democratic Party vice chair David Bowen. Later in the day, Congressman Rick Nolan (D-Minn.) joined two other U.S. House members from the state — Congressmen Keith Ellison (D-Minn.) and Collin Peterson (D-Minn.) — in pledging his superdelegate vote to Sanders. According to the AP, 469 superdelegates have pledged their support to Clinton. Both candidates have hunkered down in recent days in New York, where 247 delegates are up for grabs on April 19. On Saturday, Sanders held events in Washington Heights, the Bronx, Long Island City and at the Apollo Theater. On Sunday, he was scheduled to hold a rally at Coney Island. Clinton campaigned in Buffalo and Rochester on Friday and in Brooklyn on Saturday.